Perfect for a child’s room! 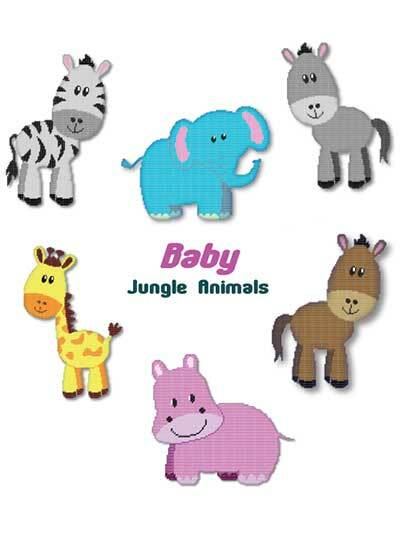 Everyone will adore these cute baby jungle animal wall hangings. 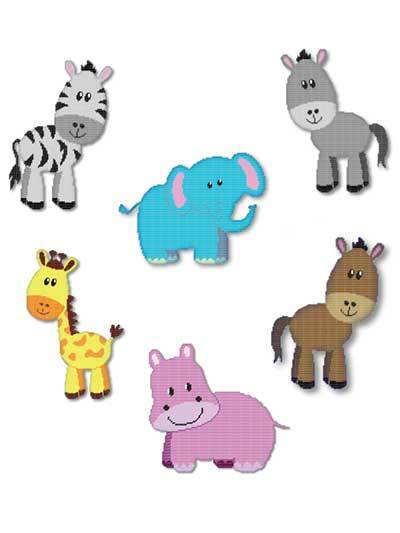 Pattern includes an elephant, giraffe, donkey, horse zebra and hippo. Projects are made using 1-3 regular-size sheets of plastic canvas and worsted-weight yarn. Donkey, horse, zebra: 14" x 18"